1. Wagner, E. Strategies to improve DNA polyplexes for in vivo gene transfer—Will ''artificial viruses'' be the answer? Pharm. Res. 2004, 21 (1), 8-14. 2. De Smedt, S.C.; Demeester, J.; Hennink, W.E. Cationic polymer based gene delivery systems. Pharm. Res. 2000, 17 (2), 113-126. 3. Han, S.; Mahato, R.I.; Sung, Y.K. ; Kim, S.W. Development of biomaterials for gene therapy. Molec. Ther. 2000, 2 (4), 302-317. 4. Kichler, A. Gene transfer with modified polyethylenim-ines. J. Gene Med. 2004, 6, S3-S10. transfer by polyamine-DNA polyplexes. J. Biol. Chem. 2003, 278 (45), 44826 -44831. 6. Kwok, K.Y. ; Park, Y.; Yang, Y.; McKenzie, D.L. ; Liu, Y.; Rice, K.G. In vivo gene transfer using sulfhydryl cross-linked PEG-peptide/glycopeptide DNA co-condensates. J. Pharm. Sci. 2003, 92 (6), 1174-1185. 7. Lim, Y.B. ; Kim, S.M. ; Suh, H.; Park, J.S. Biodegradable, endosome disruptive, and cationic network-type polymer as a highly efficient and nontoxic gene delivery carrier. Bioconjug. Chem. 2002, 13 (5), 952-957. 8. Anderson, D.G. ; Lynn, D.M. ; Langer, R. Semi-automated synthesis and screening of a large library of degradable cationic polymers for gene delivery. Angew. Chem., Int. Ed. Engl. 2003, 42 (27), 3153-3158. 9. Zou, S.M. ; Erbacher, P.; Remy, J.S. ; Behr, J.P. Systemic linear polyethylenimine (L-PEI)-mediated gene delivery in the mouse. J. Gene Med. 2000, 2 (2), 128-134. 10. Wightman, L.; Kircheis, R.; Rossler, V.; Carotta, S.; Ruzicka, R.; Kursa, M.; Wagner, E. Different behavior of branched and linear polyethylenimine for gene delivery in vitro and in vivo. J. Gene Med. 2001, 3 (4), 362372. 11. Ferkol, T.; Perales, J.C.; Eckman, E.; Kaetzel, C.S. ; Hanson, R.W. ; Davis, P.B. Gene transfer into the airway epithelium of animals by targeting the polymeric im-munoglobulin receptor. J. Clin. Invest. 1995, 95, 493502. 12. Ziady, A.G.; Kelley, T.J.; Milliken, E.; Ferkol, T.; Davis, P.B. Functional evidence of CFTR gene transfer in nasal epithelium of cystic fibrosis mice in vivo following luminal application of DNA complexes targeted to the serpin-enzyme complex receptor. Molec. Ther. 2002, 5 (4), 413-419. 13. Wu, G.Y. ; Wu, C.H. Receptor-mediated gene delivery and expression in vivo. J. Biol. Chem. 1988, 262, 1462114624. 14. Wu, G.Y. ; Wilson, J.M. ; Shalaby, F.; Grossman, M.; Shafritz, D.A. ; Wu, C.H. Receptor-mediated gene delivery in vivo. 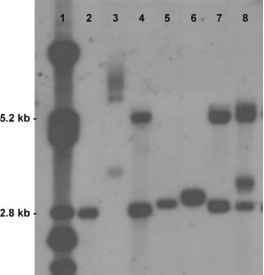 Partial correction of genetic analbuminemia in Nagase rats. J. Biol. Chem. 1991, 266 (22), 1433814342. 15. Nishikawa, M.; Yamauchi, M.; Morimoto, K.; Ishida, E.; Takakura, Y.; Hashida, M. Hepatocyte-targeted in vivo gene expression by intravenous injection of plasmid DNA complexed with synthetic multi-functional gene delivery system. Gene Ther. 2000, 7 (7), 548-555. 16. Nguyen, H.K. ; Lemieux, P.; Vinogradov, S.V. ; Gebhart, C.L. ; Guerin, N.; Paradis, G.; Bronich, T.K. ; Alakhov, V.Y. ; Kabanov, A.V. Evaluation of polyether-polyethyle-neimine graft copolymers as gene transfer agents. Gene Ther. 2000, 7 (2), 126-138. 17. Coll, J.L. ; Chollet, P.; Brambilla, E.; Desplanques, D.; Behr, J.P.; Favrot, M. In vivo delivery to tumors of DNA complexed with linear polyethylenimine. Hum. Gene Ther. 1999, 10 (10), 1659-1666. 18. Gautam, A.; Waldrep, J.C.; Densmore, C.L. ; Koshkina, N.; Melton, S.; Roberts, L.; Gilbert, B.; Knight, V. Growth inhibition of established B16-F10 lung metastases by sequential aerosol delivery of p53 gene and 9-nitro-camptothecin. Gene Ther. 2002, 9 (5), 353-357. 19. Kircheis, R.; Wightman, L.; Schreiber, A.; Robitza, B.; Rossler, V.; Kursa, M.; Wagner, E. Polyethylenimine/ DNA complexes shielded by transferrin target gene expression to tumors after systemic application. Gene Ther. 2001, 8 (1), 28-40. 20. Ogris, M.; Brunner, S.; Schuller, S.; Kircheis, R.; Wagner, E. PEGylated DNA/transferrin-PEI complexes: Reduced interaction with blood components, extended circulation in blood and potential for systemic gene delivery. Gene Ther. 1999, 6 (4), 595-605. 21. Kursa, M.; Walker, G.F.; Roessler, V.; Ogris, M.; Roedl, W.; Kircheis, R.; Wagner, E. Novel shielded transferrin-polyethylene glycol-polyethylenimine/DNA complexes for systemic tumor-targeted gene transfer. Bioconjug. Chem. 2003, 14 (1), 222-231. 22. Hildebrandt, I.J. ; Iyer, M.; Wagner, E.; Gambhir, S.S.
Optical imaging of transferrin targeted PEI/DNA complexes in living subjects. Gene Ther. 2003, 10 (9), 758-764. 23. Wolschek, M.F. ; Thallinger, C.; Kursa, M.; Rossler, V. Allen, M.; Lichtenberger, C.; Kircheis, R.; Lucas, T. Willheim, M.; Reinisch, W.; Gangl, A.; Wagner, E. Jansen, B. Specific systemic nonviral gene delivery to human hepatocellular carcinoma xenografts in SCID mice. Hepatology 2002, 36 (5), 1106-1114. 24. Liu, X.; Tian, P.K. ; Ju, D.W.; Zhang, M.H. ; Yao, M.; Cao, X.T. ; Gu, J.R. Systemic genetic transfer of p21WAF-1 and GM-CSF utilizing of a novel oligopeptide-based EGF receptor targeting polyplex. Cancer Gene Ther. 2003, 10 (7), 529-539. 25. Wilson, J.M. ; Grossman, M.; Wu, C.H. ; Chowdhury, N.R. ; Wu, G.Y. ; Chowdhury, J.R. Hepatocyte-directed gene transfer in vivo leads to transient improvement of hyper-cholesterolemia in low density lipoprotein receptor-deficient rabbits. J. Biol. Chem. 1992, 267, 963-967.